Now you can avoid stressed-out car rides to the vet with your cat with this new cat-friendly radio station! It’s well known that music is beneficial for people. But did you know, certain tunes can have a calming affect on your furriest friends, too! With that in mind, and as a way to observe “Take Your Cat to the Vet Day,” cat food company WHISKAS launched Cat Calm Radio on August 22nd. Trips to the vet can be stressful. Especially for our cats. Because of this, many people neglect taking their cats to the vet as often as they should. Now, to help soothe their stress, you can play Cat Calm Radio during a trip to the vet (or, really, any time your feline friend is feeling frazzled). Broadcasting online at CatCalmRadio.com, and created in partnership with the WHISKAS brand’s advertising agency, BBDO Toronto, the station plays a continuous stream of music created by species-specific musician and composer, David Teie. The music was born out of David Teie’s scientific theory on the fundamental nature of music appreciation by mammals. Based on the premise that animals have an intuitive biological response to sounds they hear early on in their development, he composed music for cats by incorporating sounds that cats hear soon after they’re born: bird’s chirping, suckling for milk, or their mother’s purr, and combining these sounds with music and “cat noises” that were within a cat’s frequency range. And the resulting music is rather melodic and beautiful, even to humans! 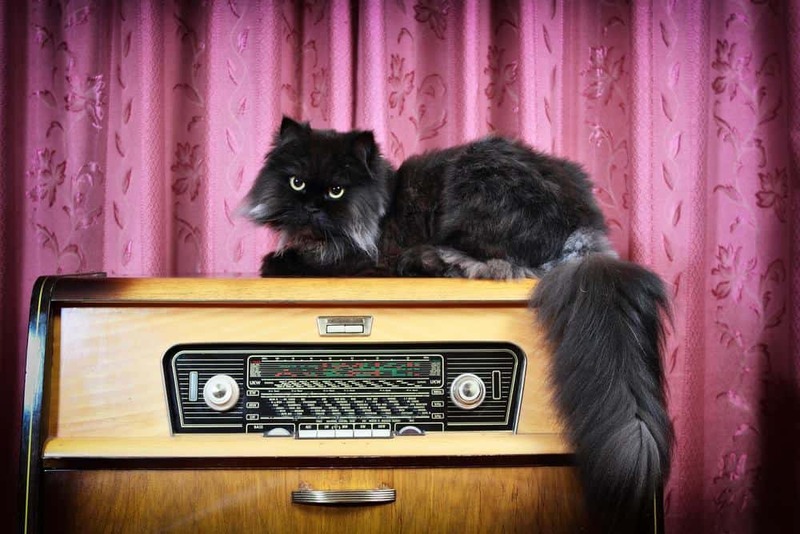 You can listen to Cat Calm Radio here. Play it for your cat and then come back and let us know how he or she reacted!